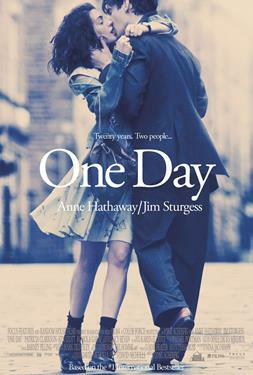 Adapted from the internationally praised and bestselling novel, ONE DAY charts an extraordinary relationship. After only one day together in 1989, Emma Morley (Academy Award® nominee Anne Hathaway) and Dexter Mayhew (Jim Sturgess) cannot stop thinking about one another. Over the next twenty years, key moments of their relationship are revealed on the same day – July 15th – of each year. Dex and Em face friendship and fights, hopes and missed opportunities, laughter and tears. And as the true meaning of this one crucial day is revealed, they must come to grips with the nature of love and life itself.